Instant coffee machine manufacturer Keurig is recalling some 7 million crappy coffee makers because they're burning people with scalding water. 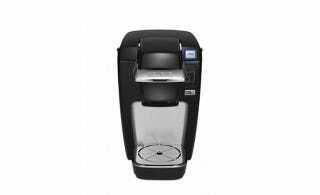 According to the US Consumer Product Safety Commission, the recall affects the Keurig Mini Plus Brewing System. It affects 6.6 million coffee makers sold in the United States and 564,000 sold in Canada. Keurig has received about 200 reports of hot liquid escaping from the brewer, including 90 reports of burn-related injuries. For those unfamiliar, Keurig coffee makers brew coffee using K-Cups filled with grounds. The machines are very popular, and they allow you to make hot beverages flavored in many different ways easily. According to people who enjoy good coffee, though, they are not very good at making brew.